ArticleIs there an Indian Way of Filmmaking? Aamer Hussein was born in Karachi, Pakistan, in 1955, and moved to London in his teens. He has been writing fiction since the mid-eighties, and his work has been widely anthologised in many languages including Spanish, Arabic, Japanese and Urdu. He is the author of the short story collections, Mirror to the Sun (1993); This Other Salt (1999); Turquoise (2002); Cactus Town and other stories (2002); Insomnia (2007); Another Gulmohar Tree (2009), a novella, shortlisted for the Commonwealth Writers Prize; and The Cloud Messenger (2011). He is also the editor of Kahani: Short Stories by Pakistani Women (2005), a revised and extended edition of Hoops of Fire (1999). A literary memoir on the raptures of discovering Urdu literature, this lyrical essay is the Pakistani-born, London-based writer’s eloquent and poignant testament of the mysterious and plural ways in which reading shapes one’s creative writing. The essay mentions the range of narrative techniques and aesthetic refinements of Urdu literature that has, for centuries, flown alongside the river of rasa explorations. 1. Maulana Rumi’s ‘Masnavi’ begins with a song of separation: the flute from the reed bed. I first read the verse when I was about sixteen. But I don't want to begin this piece on a note of complaint. Yes, I was given a language that wasn't my own to read and write in: this is the post-national story of my milieu and my generation. But perhaps the distance from my native tongue—and learning to read and speak several others, so that at times my head is full of languages, like an airport lounge—taught me to think of Urdu as my homeward destination. 2. I was sixteen when I first read Faiz in a bilingual edition with translations by Victor G. Kiernan. I wrote ‘read’ because I’d been hearing Faiz for much of my life. His ghazal ‘gulon me rang bhare/baad e nau bahar chale’ is the first ghazal I remember memorising, almost by default because my sister was learning to perform it; we'd all heard Mehdi Hassan sing it in a beautiful setting when I was about nine. Faiz lived down the road from us then, and on our way to school my sisters and I would often see him in his garden. The knowledge that he'd been in and out of prison and disfavour made his words more poignant. Faiz had taken the metaphors of traditional Indo-Persian verse—flowers, gardens, longing, exile, cages—and crafted something new, a poem that spoke of prison and companionship, loneliness and longing for the new day of liberation. He made the abstract images of classical poetry luminous and tactile. His cage is a prison cell and his exile a term in jail. I suppose that finding that book of poems, hidden away on the bottom shelf of the public library’s Foreign Languages section, reminded me of the distances in my own life, how I’d left one country (Pakistan) for another (India) and then India for England; travelled from North to South and then further North than I’d ever been; how I’d always lived between languages and changed scripts, from Urdu to Hindi, and nearly lost the former on the way. I’d written a few poems myself—a few in the Hindi script—but Faiz’s poems gave me landscapes I'd left behind and dreamscapes I hadn't, addressed obliquely on what I felt about life and literature, and yet told me so much more than I knew; though I wouldn't have found the words for my reactions then. I knew, too, that something in the music of his words reached my inner ear in a way English verse, which I was studying then for my ‘A’ levels, hadn't done. If Faiz had merely reproduced traditional rhythms and metres I might have been less intrigued, but over and over his forms extended the structures and broke the mould. I remember my teacher, Mr Shah, complaining a few years later: ‘The violet anklets of pain? What does he mean?’ He said ‘Faiz steals from Yeats and others.’ I think he mentioned Eliot. Later, I’d be told Faiz was influenced by Neruda. At the age of twenty, I met Faiz for the first time, spoke to him about culture and identity when I was twenty-two. Was it his syncretic idiom then that drew me to his words in my youth, or the fact that he remade or re-formed tradition that made him seem so approachable? Who knows? 3. But to claim that the door to my lost mother tongue swung open when I first read Faiz would be an exaggeration. What Kiernan’s book did do for me on a practical level, with its English versions, and transliterated Urdu and the originals on facing pages, was teach me to decipher my lost alphabet (which I’d never known very well), and give me a lexicon of abstract words. It turned what was becoming aural into visual images, sounds into signs. I don't know what made me decide to study Urdu for another ‘A’ level when I was about nineteen, but one working reason was that I needed an additional subject to go to university. Finally, the chance to study Urdu had come. 4. At university we read another novelist, probably Urdu’s first—Nazir Ahmed—who was also, according to one of our tutors, influenced by Defoe. I don't know why they chose the text they did—Taubat un Nasuh—a didactic parable (is that a tautology?) about a father whose children drift away from the right religious and social path and are forced by a cholera epidemic (hence the Defoe comparison) to examine their wicked ways I didn’t find it inspiring or even interesting. I didn't find any Urdu prose fiction very interesting. Not Premchand, Krishan Chander or Manto, whose stories we read. Not even, at that time, Ismat Chughtai, by whom we read one story, ‘Nanhi ki Nani’, that isn’t anywhere near her best. What I did take away from university was a knowledge and understanding of Urdu poets— Mir and Ghalib and Iqbal and Dagh whose work I knew at least in passing, and others such as Wali and Quli I’d hardly heard of. At home I’d listen to it all in musical settings, sung by Tahira Syed and Malika Pukhraj, Mehdi Hassan and Iqbal Bano. Learning about prosody and poetics, how to scan a poem (which I could do intuitively), I realised that the rhythms of Urdu and Persian, and Hindi too, were intrinsic to my understanding of language and music and the music of language in a way English verse had never been. I also studied forms I didn't know well: the marsias of Anis and Dabir, elegies for Hussein and the martyrs of Karbala, which I'd heard performed; and the masnavis of Mir, Mir Hassan and Shauq, verse romances which were the prototype of novels later writers would produce. There was also Bagh o Bahar or The Tale of the Four Dervishes, that magical sequence of prose narratives set in a frame, written in the early nineteenth century at Fort William by Mir Amman, apparently to satisfy the British need to read Urdu prose in a limpid and accessible form. These texts and the contexts in which I read them inspired a substantial segment of my recent novel, The Cloud Messenger. 5. I rediscovered Ismat Chughtai six or seven years after leaving university. A book called Aadhi Aurat, Aadha Khwab just fell into my hands at my local library. 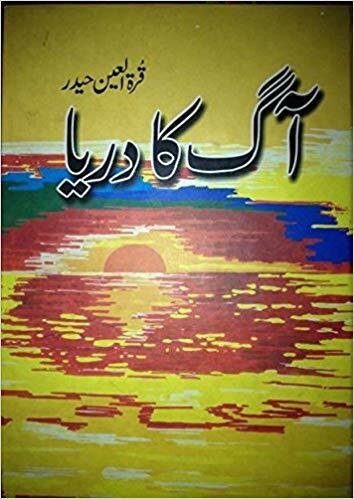 I began to read a story called ‘Meri Aap Beeti’ which whizzed through the events of her own life with a simplicity and elegance I hadn't looked for in Urdu (to which I usually turned for lyrical inspiration). It may have been a memoir but it read like fiction. In Rome on a rainy day that spring, I wrote a story set in the Karachi of my childhood, in which the offstage rumbles of the 1965 war between India and Pakistan accompany the games children play in their garden. Their games become darker as animosities grow and culminate in the killing of a rogue cat. I think that reading Chughtai had inspired me to find my voice. Back in London, on dark autumnal evenings, I combed the library shelves for other titles by the author and found, in a Hindi transliteration, Ek Qatra e Khoon, her wonderful prose retelling of the marsiya tradition; chronicles of the Prophet's grandsons, the Muslim martyrs of Karbala. Some months later, in colder weather, her novel Terhi Lakeer kept me awake all night. The events of her own life that I’d read in the short story had been fictionalised to create a compelling account of one woman’s life and (colonial and nationalist) times in the toughest, richest modernist prose. The novelist expertly weaves strands of history into the tapestry of her heroine’s journey, especially when the author reaches World War II and marries off her heroine (unhappily) to a white ‘Tommy’. It's hard to describe the impact of this book on the novice writer I was; I’d thought until then that writers of fiction in my language weren't up to the international mark. Chughtai was, and much of her fiction would be made available to anglophone readers in the nineties. (Several other writers in Urdu are world class—that awful term—but the short story is Urdu’s distinctive genre). For the first time, I’d discovered the joys of parochial reading and a tale-spinner I could claim as my own. I also read Chughtai’s short novels Ziddi, a lush Gothic melodrama, and Dil ki duniya, about a woman abandoned by her husband who escapes the claustrophobic atmosphere of her family home with another man. I was writing more short stories. The directness and the achieved simplicity of Chughtai’s short fiction validated my feeling that domestic interiors and family dramas were the finest settings and themes for my fiction. In her best work, Chughtai’s use of succinct metaphor was a revelation. I didn't actually write another story under her influence until much later; but reading her I understood what I’d been attempting, in some of my fiction, to do: to recreate those interiors (and exteriors) of my past as a painter would, and then bring them to movement and life. When people asked me in later years about Urdu and its influence on my prose, I couldn't honestly say how it did influence me but I can certainly admit that apart from validating my home truths as fictional material, Chughtai showed me how to turn sensory images into tactile text. On a trip to Bombay in 1990, I told my aunt, who knew both, that I loved Chughtai's work but hadn’t quite come to grips with Qurratulain Hyder’s. ‘That’s because you live far away and Chughtai delights in the ordinary which you miss,’ she said. ‘I prefer Annie because she’s more adventurous, she takes more risks with theme and style. Living in the West you're more exposed to all that’. Q. Hyder—‘Annie’—was a family friend and often visited us in London. In the mid-eighties I’d heard her read out a magical story she’d written in English, ‘Memories of an Indian Childhood’. We often talked about literature in many languages and over the years she’d teach me a lot about Urdu fiction in its contexts. But apart from a handful of her English stories I found her work intimidating and difficult. It made me feel my Urdu wasn't up to the mark. A few years later, when I read her stories in Patjhar ki Awaaz, I would change my mind. I think she's one of Urdu's greatest writers. Her memoirs, as yet untranslated, taught me more about the social history of my people than any other book I've read. But I have to admit that I know her intricate and fascinating novels best in the English versions that she—to use her own term— ‘transcreated’. 6. Nine years after leaving university, another novel by Nazir just fell into my hands in the library and made me laugh out loud as I read it, on my haunches, by a shelf: Mira’at ul-Urus is the story of two sisters, one efficient and the other foolish, and their marriages. Composed (as early Urdu novels are) mostly in dialogue, it employs the speech of well-bred women, what used to be called begamati zaban. It’s witty and hilarious, moving from social comedy to an almost picaresque mode of narration and then back to the real. In spite of their different modes, I see Nazir as closer to Mir Amman than to Defoe or any English novelist, although he may not have been aware of that. He wrote at a time when Muslim males were being encouraged to acquire Western knowledge and new universities were being established for this purpose. Women were increasingly being taught to read and write, and Nazir claimed he wrote the story for his daughters. His mission was to make the lives of the modern Muslim middle classes of Delhi into interesting reading, and to implant his reformist messages in the minds of his characters. He never allowed himself to be swayed by the lascivious fantasies of earlier days, and therein lies the influence of his era’s reformist mores—in order to beat the colonisers, we had to clean up our own act, and that began with cleaning up our literature and our lives. ‘Away with decadence. New, realist texts for new times.’ I’d read a lot of theoretical texts to that effect at university. Nazir put these ideas into his fiction, showing us a society in which women and men redefined their roles, as the old certainties died and were yet to be definitively replaced. If, in Ghalib’s poetry and occasional prose, you hear the sigh of the old word dying, in Nazir’s you might discern the new world’s call to arms. Rereading Nazir at thirty-five made me aware, too, beyond the call of duty and history, how lively and luminous his prose could be, how he could bring alive, in a few lines of dialogue, characters, situations and a social milieu. I said I wouldn’t complain, but this flair, because of my inability to write easily in my native language, is what I lacked. When my English-educated characters spoke I knew their words. But when I delved into those recesses of my memory which lead me to a past before my own, I was forced to translate and to transliterate. Working with utterance and speech; I lost, in the translation from a vernacular to an expository mode, the wit and wisdom of a Nazir Ahmed, the pithy phrasing and the gruff warmth of a Chughtai. 7. It was inevitable that at some point I’d be asked to try my hand at translation, and soon enough —in 1991—I received a commission to edit a book of fictions from Pakistan. I was teaching Urdu to external students at SOAS then and would dash from my classes to the library. Armed with a handful of names, I read my way through dozens of collections of stories written after Independence, and translated a couple. There were examples of short fiction, whether traditional or in an experimental mode, that matched up to anything written anywhere. Among the living, working writers of the time, Intizar Hussain was the master of the modern fable, bridging the gap between Kafka and the Jataka tales, and reminding us of the Hindu-Muslim syncretic in our imagination. Khalida Husain wrote grim tales that borrowed freely from traditional and foreign sources, timeless but with some magic sleight of hand also deeply contemporary. Fahmida Riaz was writing post-modern novellas which were reminiscent in their odd juxtapositions and collagist transitions of recent Eastern European writings. (At that time, I was more attracted to the post-modern edge; today, perhaps, I prefer the more traditionally structured fiction of the mid-twentieth century.) The book I edited wouldn’t come out till 1999, and in a different form— stories by women writers—but I learned more in that season of reading than I would on any university course. At some point, I came across Shaista Suhrawardy (later Ikramullah)’s Critical Survey of the Development of the Urdu Novel and Short Story, and realised that I’d only just crossed into the hinterland of Urdu fiction. Her book, published in 1945, introduced me to writers of another time. Along with Nazir and Sharar and Ruswa, there were many others; and many of those others were women. We'd been taught, I realised, to read Urdu fiction in a blinkered way; to assess it in the context of colonialism and then to read it for its political context when we came to the Progressives with their leftist ideology. I read on in fascination, but it was the period of the Progressives, which I’d skimmed at university, that I focused on—Premchand and his successors. (There’d been a frisson in 1936 when a group of Progressives including Ahmed Ali who went on to become famous as the author of Twilight in Delhi, Sajjad Zaheer, and the radical doctor Rashid Jahan, the only woman in the group.). Shaista Ikramullah, too, has been given an eminent place in the canon of Pakistani literature with reprints of her work, in Urdu and in English, memoir, essay, biography, and criticism. And just this morning, as I wrote, the postman came to the door with a registered parcel which contained a new edition of Koshish-e-Natamaam, her brief collection of finely-crafted short fiction, first published in the fifties (with an introduction by Ahmed Ali who, while he praises them, talks about the ‘limited canvas’ that is so often synonymous with women’s writing and with the short story.) There's a new intro to the new edition to this edition, which I’ll read in bed tonight. 8. The publication of Mirror to the Sun, my first collection of stories, in 1993, distracted me for a while from my pursuit of Urdu literature. But in early 1994, wandering around the shelves with Ikramullah’s book in hand to guide me, I read my way round the shelves of early 20th century Urdu novels. In a way their world was familiar from Nazir’s works, but the authors—mostly women, from Delhi and Lahore, Hyderabad, Lucknow and Calcutta—had an exuberance and a leisurely pace that was entirely their own. It's easy to say they were inspired by Nazir, but encouraged would be a better word: in a way, they were adding, amending and revising his masculine (albeit sympathetic) view of a woman’s world. Many of them tended towards a tragic worldview, but almost without exception they mined a fine vein of humour, often based on wordplay, linguistic excess and local dialect. I’d thought women began to write in about the twenties, when Nazar Sajjad Hyder, Q. Hyder’s politically conscious and liberal mother, writing about the landed and service gentry at the time of the Raj, was the most popular of all novelists; I’d thought her an exception, but how wrong I was—they’d started at the turn of the nineteenth century, and there were dozens of them. Foremost among them was Muhammadi Begum, not just because she wrote three novels (or rather book-length qissas) in the first decade of the century, in a fairly short career (she died in 1908 at about thirty) but also because she ran a press that published fiction by women for women, and edited a women’s magazine. She was aided in her effort by her husband Mumtaz Ali, who was more a scholar of Islamic law than a novelist, and left it to his wife to produce the fiction. I was able to find all her fiction in its original editions in a SOAS vault. Two of her novels are relentless tragedies about women’s lives destroyed, in one case, by a marriage arranged in childhood; in another, by the narrator-heroine’s own indolence in an overly symbiotic relationship with her husband. (It’s tempting to see in her plight not only the workings of patriarchy but also the dilemma of a colonised Indian nation, but the author, while explicit about the former, does not belabour the latter metaphor). In a third she breaks the mould and produces a joyous story, probably written for younger readers, of a family of youngsters without parents and how their resourceful older sister finds her way in the world as a teacher. This novel is probably also unique in portraying a lower-middle-class family and including as one of its major and positive personages a working-class ‘nayan’ who becomes the family's benefactress, and non-magical fairy godmother. I was only slowly absorbing the effects of this fiction, but a meeting with a friend who edited a magazine led me to write a non-fiction narrative about one of these writers. My essay ‘Forcing Silence to Speak’, which looked at the life and work of Muhammadi Begum (and her husband Mumtaz Ali) in the context of her times, was first published in an Arabic translation in 1995. It was probably the longest essay I’d ever writen and a new departure for me to write at length in one language about another to be translated into a third. The next year, I delivered it as a paper to an audience in the Iqbal Library in Lahore, the city Muhammadi Begum lived and worked in, and shortly after that it received the accolade of being published in its original The Annual of Urdu Studies. To this day, fifteen years later, young scholars write to me about reading the essay and what it taught them about women writers and the Urdu novel. 9. Some more Urdu writers and their influence on me. a. Ghulam Abbas. His finely-honed stories, which I first read in the late-ish eighties, have passed the test of time. Rereading him on a train in 2007, I was inspired to come home and write a story about a Pakistani journalist who meets an English illustrator in mid-twentieth century London. They marry and live in Karachi. As I wrote and wrote on, I realised that my story had approached the story of his life. I don’t know if the prose of what was published as my first novel, Another Gulmohar Tree, echoes the economies of his. b. A.R. Khatun. Considered a mid-twentieth century writer of decorous and slightly old-fashioned romances, she wrote a novel-length fairy tale, ‘Nurulain’, which fell off a shelf into my hands in 1994. As I read, entranced, this story of a princess who weds a black dog (actually a fairy prince in disguise), I realised it was just about the only children's book in Urdu I'd known as a child, when my mother read it out to us all. Lines of text soared back into my memory as I read it after thirty-odd years. Imagine my pleasure when, four years later, I came across a massive volume of similar, though shorter, stories by her. As the millennium began and I started a new book, I wrote a story, ‘Adiba: A Storyteller’s Tale’, which juxtaposed a reimagined life of the author with a fairytale I wrote in English, in imitation of her style. That was in my third book Turquoise, which is a compendium of my Urdu influences. c. Shafiq-ur-Rahman. Known as a humourist rather than a writer of fiction. I’ve heard him compared to Wodehouse, Leacock and Jerome, but Himaqatein, the collection I discovered among my mother’s cookbooks in 1994, was entirely original. In his stories about childhood and about the goings-on of groups of college friends, he combines a crazy, antic sense of humour with an ear for dialogue and an eye for natural imagery. 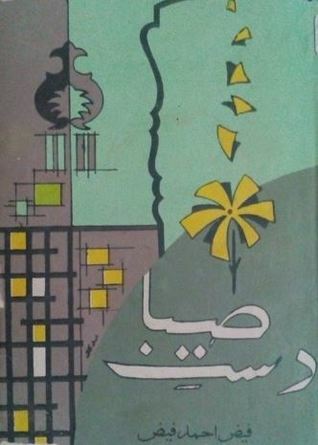 In another collection, Mazid Himaqatein, he offers a series of pastiches of modern and traditional genres: chronicle, legend, tale, progressive verse. He’s a master of fictional form; as I wrote my second novel, just reading his stories helped me visualise and construct mine. Much, much later, as I reached middle age myself, I think, as I write about youth and disappointment and anticipation, about his fiction, and my fingers move faster on the keyboard. d. Rafi Ajmeri. Once celebrated but now forgotten short story writer. My mother’s maternal uncle. He died young. We thought his book was lost until a writer friend photocopied it and sent it to me from Karachi. 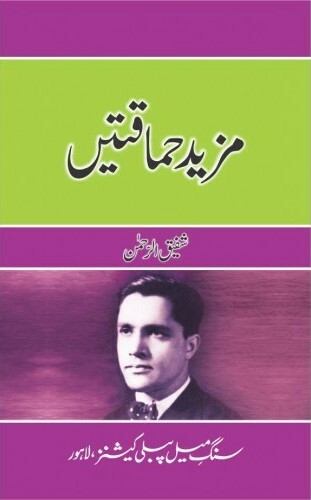 Many of his stories, moving freely between humour and melancholy, are symmetrically formed and are very good, but one in particular, ‘Muhabbat ka Bulava’, a long, complex story about an impoverished tutor and his student (his rich best friend's sister) is one of my favourite Urdu stories. 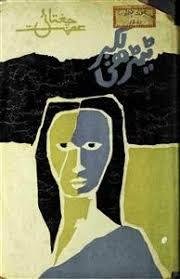 (As with Shafiq, I think of Rafi’s work when I write of youthful loves or the tragic lives of poets.) It has a happy but subversive end as his heroes turn their back on wealth and a bourgeois society. I wish I’d written the story. Maybe one day I’ll translate it into English, or write my own version of it. 10. I’ve often been asked whether the sense of loss and longing, exile and yearning in my stories comes from my native language. I can't really answer. Classical Urdu poetry often speaks of loss, but rarely of loss of a home; of longing, but not of a homeland. These elements, so easily adapted to a native idiom, are imports. And I'm a storyteller, not a poet. What of prose, then? Urdu fiction, which is diverse as any, can't be said to have inherited the tropes of poetry; much of it is character-centred and resolutely new. If anything, it's often about the building of hopes and new homes. But mine has been a story of building a shelter when days are short and trees leafless and the skies are dark in the afternoons. Urdu isn't a language for a cold country. It may never have been the vehicle for some of what I've been compelled to write at times, my stories of dispossession. Because English could never quite contain me, I've looked for metaphor and meaning in other tongues: Italian. French. Spanish. I've learnt as much from Pavese and Tanizaki, Yourcenar and Paz as I have from my uncle Rafi. ‘Urdu isn't a language for a cold country,’ I wrote above, last winter. But when summer came, an Indonesian friend who'd always written in English told me that when she switched to her native language the pages filled up so swiftly she had a novel in just a few months. But she is writing about the country she lives in, I thought, with the sounds of her mother tongue echoing everywhere around her. And then in July I began to write, pieces so short they could almost be poems, of those elements I’d thought of as imports, because if I was a migrant I had the right to sing my songs of my passage in my native language. Then everything changed. Metaphors, images, dialogue—like frescos emerging after centuries, or a rediscovered musical mode. I continued to write, longer and longer stories and reminiscences, and I was reminded of my own words of eighteen years ago: ‘as I wrote, rapidly, from right to left, the syllables of my lost tongue licked my skin like fires.’ In Urdu, my writing isn't translation or transcreation, it’s a rootless, homeless flight of bird in search, to quote Farrokhzad, of a blue direction. And somewhere the flock of birds remembers a place it came from once: both point of departure and port of destination. In a sense, Urdu is always the point I’m flying to. That day Shams and I sat on the train and talked endlessly. The landscape outside was drowned in water. It was July but there had been floods. We travelled for seven hours and reached the town on the edge of the river at five. The sun was still high and the roofs of the tall fort-like buildings glowed in its rays. At once we set off to wander the lanes of the unknown town. The river had broken its banks and several streets were under water. After the literary festival that evening and the next morning we made the same long journey back. Shams said, I brought along a book but I'm not in the mood to read; let’s talk. We talked and talked and outside the rainwater still drowned the fields. Once it seemed as if the branches of a submerged tree were making gestures to the sky—but we talked on and on. I’d known Shams for thirty-five years. When we first met I was seventeen and she about thirty-five. We both liked singing and poetry. Then there was a revolution in her country, and traitors took over mine. At thirty, I gave up singing and some years later she did too. She’d had some successes, but I was too shy and too busy to look for fame. We also began to write at about the same time. I wrote stories and she accounts of her life. People remarked to us both, You colour your writings with exile. Some time ago we’d had a misunderstanding. It was on her side. But during that long journey she didn't refer to it, and neither did I. Perhaps silent anger can be washed away by rainwater. I remember Shams saying, What a worry it is, this having to make a living wage—it kills you—I’m far away from my country, far away from my faith—I don’t want to die alone in this desolate city. When we said goodbye, I saw regret in her eyes.